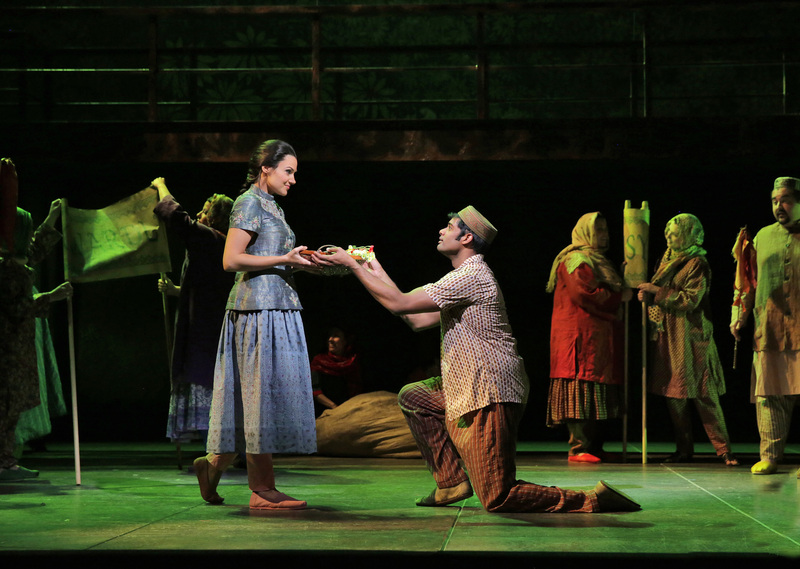 As is the case with “Klinghoffer,” a deep sense of our common humanity resonates across the increasingly grim narrative of “Shalimar,” splendidly performed in a brilliant staging by James Robinson, the company’s artistic director, with Jayce Ogren conducting members of the St. Louis Symphony. 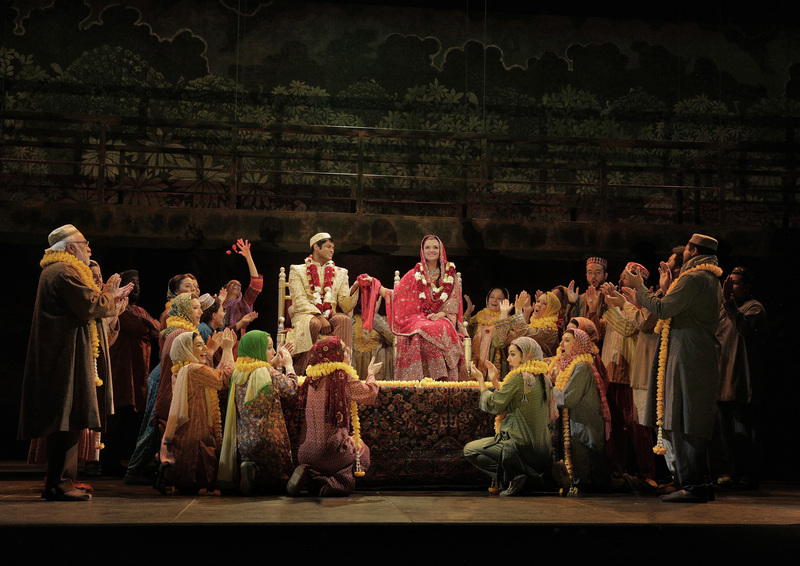 “Shalimar” the opera, like “Shalimar” the book, is about the loss of paradise — the province of Kashmir at the far north of the Indian subcontinent, once peaceful but since its postwar partition a battleground of ethnic and religious strife between India and Pakistan. 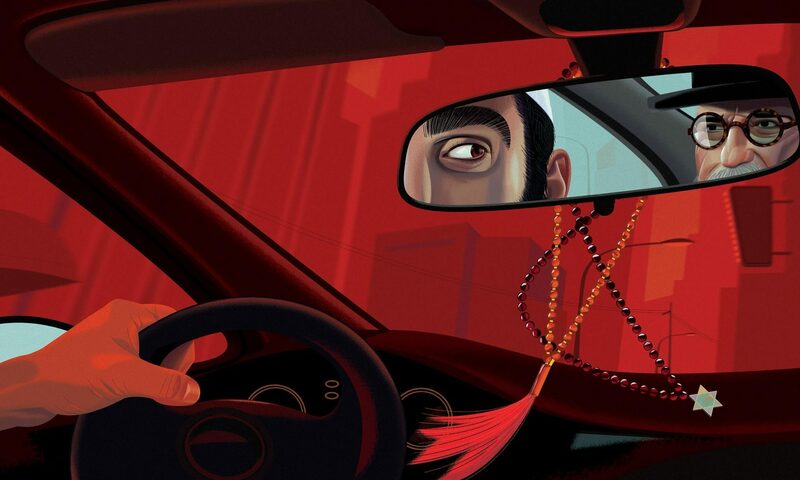 Rushdie, whose family hailed from that spectacularly beautiful region, grieved for the destruction of a stable interfaith and multicultural community and regarded with horror the radical religious fundamentalism that filled the political vacuum. 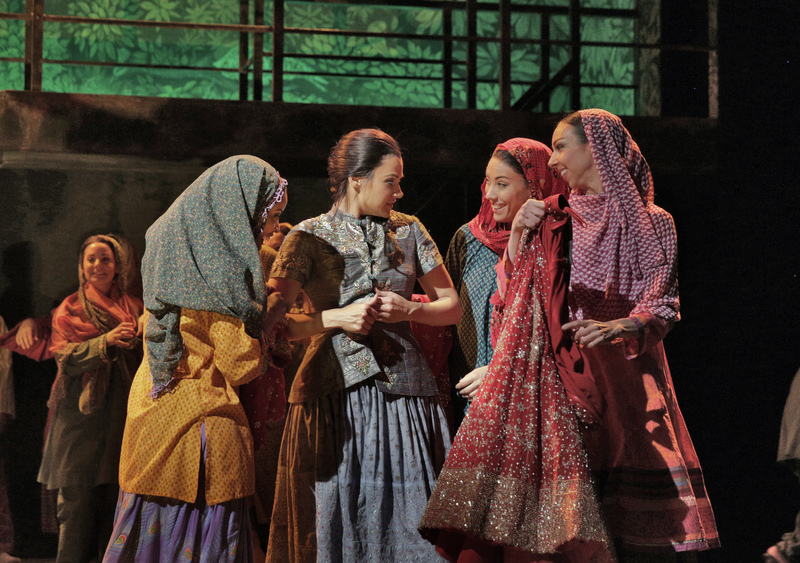 The age-old Kashmiri conflict underscores another kind of loss, the loss of innocence, that is the two-act opera’s real business. In Perla and Joseph’s skillful condensation of the 300-page novel, with a story told largely in flashback, we learn how naive love can morph into murderous obsession. Shalimar, a young Muslim tightrope walker, meets and falls in love with Boonyi, a young Hindu dancer, while they are performing with a folk theater troupe in the idyllic Kashmiri village of Pashigam. Although she has misgivings about committing to wedlock, their wedding is blessed by the village elders, tolerant of the young couple’s religious differences. Fueled by rage and despair, Shalimar is putty in the hands of a fundamentalist mullah, who enlists him as a jihadist assassin in the Islamic fight against the Indian army. Meanwhile Boonyi, having given birth to a girl by Ophuls, returns to Kashmir only to find Pashigam destroyed. She is ostracized by the surviving villagers and killed by Shalimar. The opera’s epilogue suggests that the avenger meets his own violent end at the hands of India, Boonyi’s aptly named daughter. This is risky, uncomfortable stuff — how could it not be, given the issues raised? The important thing is that the opera works. Perla’s accessible, eclectic, conservatively tonal music helps to soften the grim narrative, rescuing it from bald melodrama. The San Francisco-based composer comes out of a background in alt-jazz and cross-cultural musical performance. 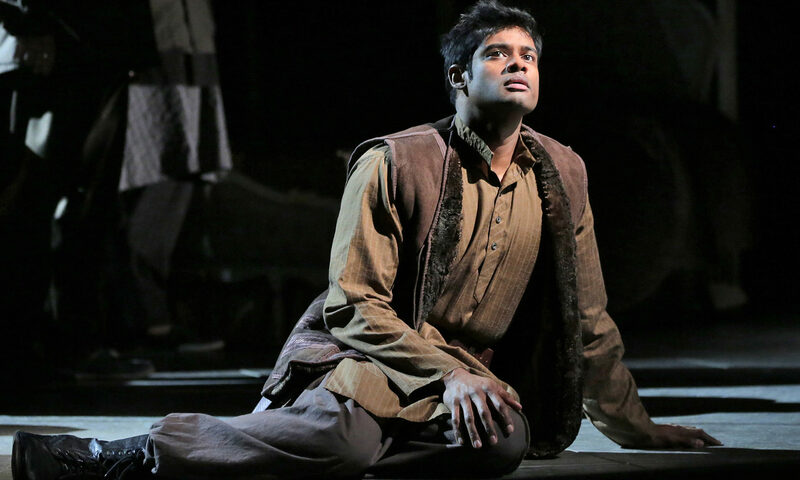 His score incorporates the local color of Indian ragas, played on the sitar and tabla (drums), conspiring with Joseph’s taut libretto — 31 scenes, including a prologue and epilogue — to invest Rushdie’s heartbreaking lament with the dramatic resonance of modern Shakespearean tragedy. 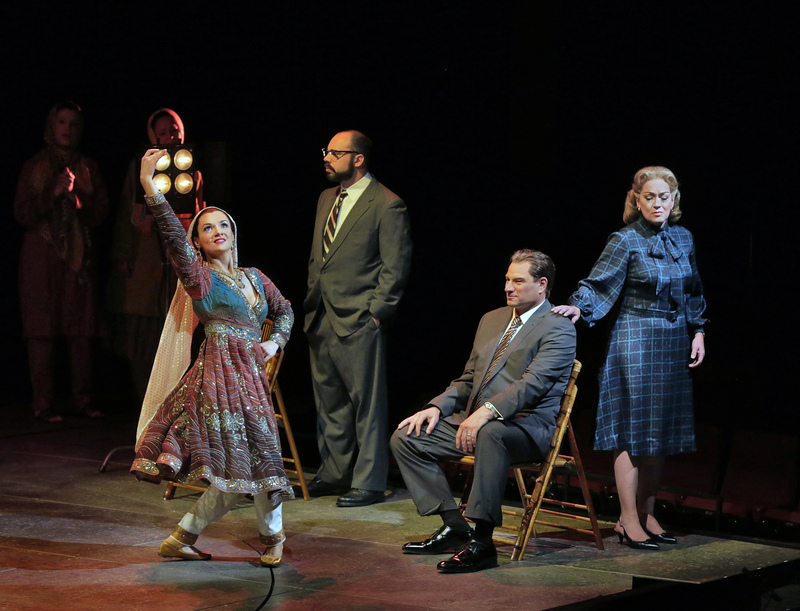 If touches of Broadway kitsch inform Shalimar’s love song, this is, on the whole, a most accomplished piece of music theater. The vocal ensemble could hardly be better. 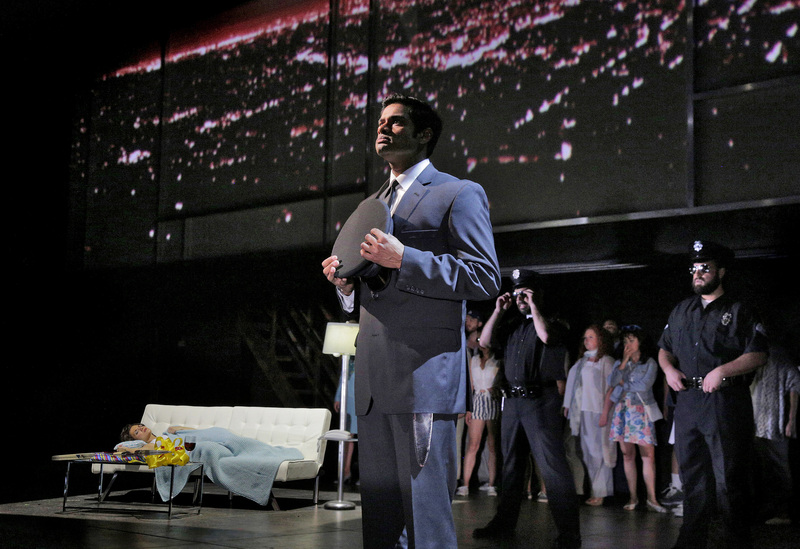 Sean Panikkar’s smooth, resilient tenor is equal to the strenuous vocal challenges of the title role. 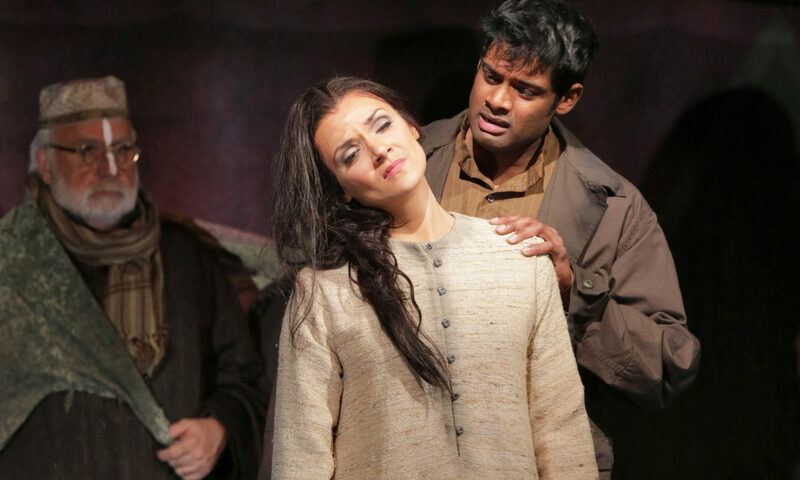 Former Lyric Opera/Ryan Opera Center soprano Andriana Chuchman sings, dances and inhabits the dual roles of Boonyi and India with equal parts vocal luster and charismatic stage presence. Both Gregory Dahl as the womanizing ambassador and Katharine Goeldner as his long-suffering wife are quite fine, as is the supporting cast. 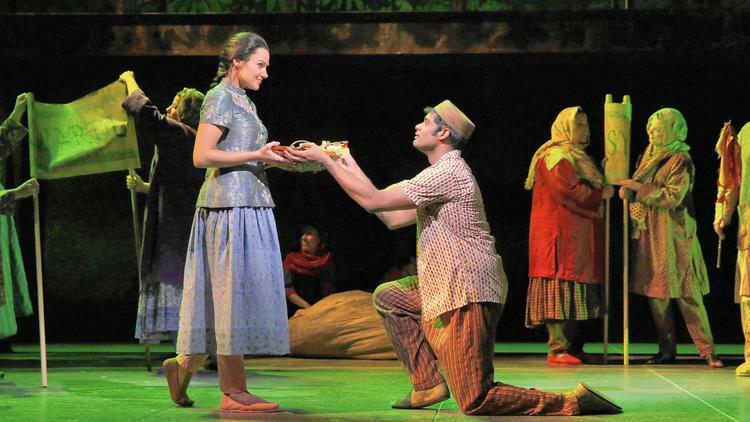 New operas come and go, but “Shalimar” is a keeper. I hope it travels to Chicago one day soon. This completes the trilogy of Verdi’s Shakespeare-inspired operas at OTSL. It also completes conductor Stephen Lord’s tenure as the company’s music director, a role he has held with distinction and is doing so again with “Macbeth.” He draws robust, incisive playing from the orchestra in support of a solid cast and a lean and mean production by Lee Blakeley. Here Verdi’s chorus of witches, representing the forces of primeval nature, assumes greater than usual presence in the drama. Foretelling Macbeth’s rise and fall, the crones arrange bare wooden branches in an incantatory circle. Those same branches are used throughout the action, eventually borne by the army of Macduff and Malcolm as it advances toward the castle of the usurper Macbeth. 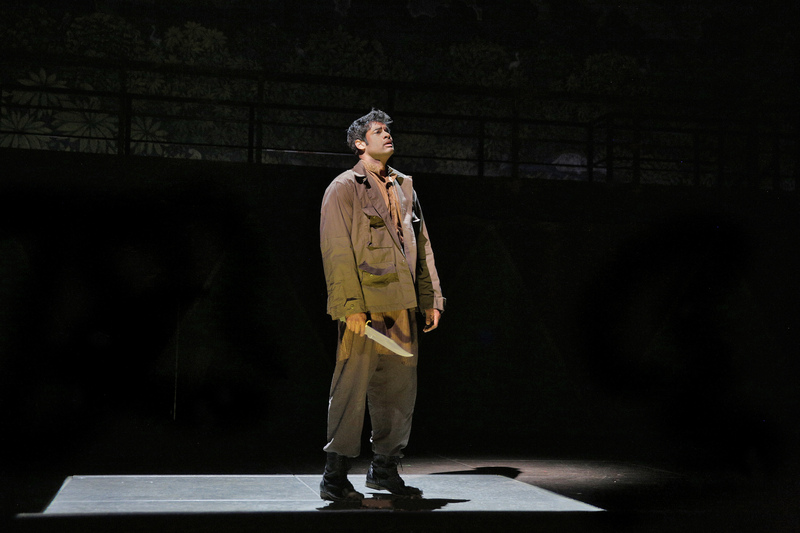 The production is elemental in its starkness and simplicity, making resourceful use of the intimate thrust stage. Mark Bouman’s ancient-modern costumes are a symphony in black, their gloomy monochrome offset by crimson smears of stage blood. A configuration of shifting panels defines scene changes as director Blakeley goes about probing the twisted psyches of grand opera’s most famous regicidal couple. We see Macbeth and Lady Macbeth eating dinner in morose silence at opposite ends of a banquet table while, in the foreground, Macduff laments his slain family and vows vengeance. We later glimpse Macbeth crouching beside his throne during his wife’s sleepwalking soliloquy — another telling dramatic touch. The leading roles are splendidly taken by Roland Wood and Julie Makerov. The British baritone looks like a young Bryn Terfel and sings Macbeth like a young Sherrill Milnes, with a firm, burnished sound and absolute verbal acuity — a discovery indeed. Verdi didn’t want a beautiful singing voice for Lady Macbeth, and, to be sure, the California-born soprano emitted some paint-peelers at full voice. That said, her middle register was warm, her legato admirable and her dramatic sense sure-footed. Tenor Matthew Plenk made a plangent Macduff, and Robert Pomakov’s sepulchral bass as Banquo capped a “Macbeth” of true international festival caliber. Richard Strauss’ wry love letter to the theater, with its seriously absurd prologue and absurdly serious opera-within-an-opera, is another OTSL show prominently cast with Lyric alumni: Soprano Marjorie Owens brings a voluptuous soprano to the Prima Donna/Ariadne; Cecelia Hall sings stylishly as the put-upon Composer; and Levi Hernandez makes an admirable Music Master. Even so, director-choreographer Sean Curran keeps the emphasis on commedia dell’arte farce, and it’s the comedians that dance away with the show. Leading them are So Young Park’s pretty and charming Zerbinetta (agile in her coloratura although she spikes her high notes) and John Brancy’s nimble Harlequin. 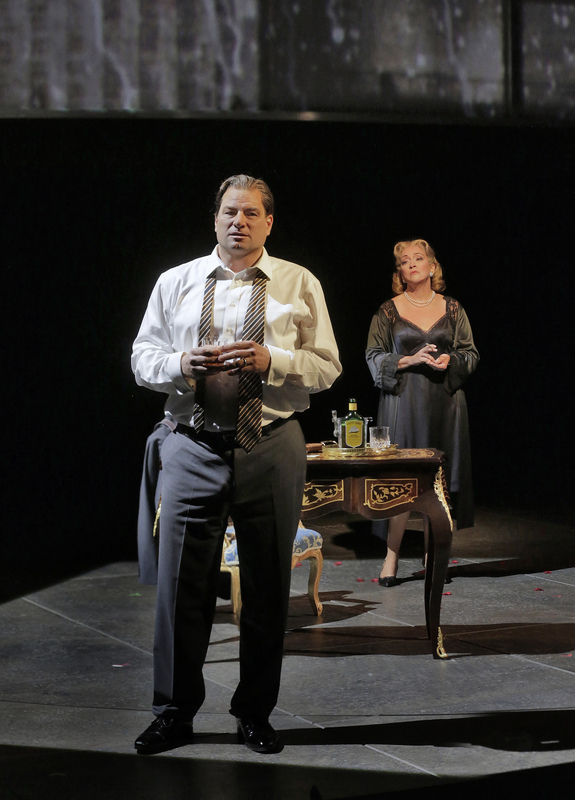 Tenor AJ Glueckert copes well with Bacchus’ cruelly high tessitura. Keeping things crisply animated in the pit is conductor Rory Macdonald, who draws an elegant, polished account of Strauss’ miraculous score from the orchestra. 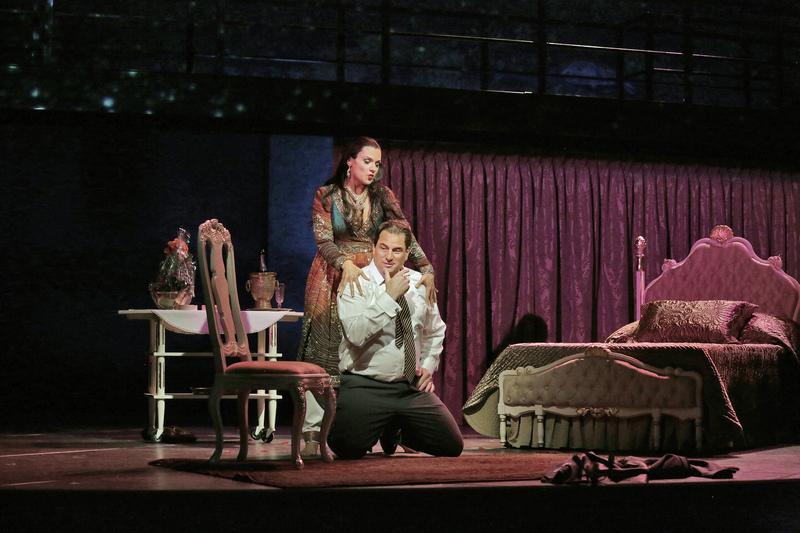 Puccini’s “La Boheme” completes the current repertory.